Everyone loves free swag, and nothing beats free swag that's also useful. Custom coffee mugs and tumblers are some of the most popular promotional products that not only attract attention to your business but are also valued by those who receive them. How many times have you gotten a promotional product that you glanced at and left in a drawer somewhere only to be forgotten? Don’t let that happen to your company’s branded merchandise. Consider what type of items you would want to receive as a potential customer—valuable, creative and unique products tend to grab people’s attention the most. As a marketing professional, it’s your job to determine the best way to spread your brand awareness and expand your market, and giving away branded swag consistently proves to be one of the most successful ways to capture people’s attention. Similarly, providing your employees with promotional products is a great way to have them represent the company and spread the message. Custom travel mugs make for the perfect employee welcome gift, and double as a useful promotional item during events and trade shows. When determining what type of product you’re going to offer to potential clients and new employees, there are many factors to consider. What is your budget? Where will you be handing out these items? How many products should you order for the year? The key to selecting the ideal promotional product is determining your brand message and finding a product that represents that message. Present it in a creative manner and ensure that it will benefit the recipient and you've got a recipe for success. Custom mugs and travel mugs are the perfect balance between low cost and high reward. 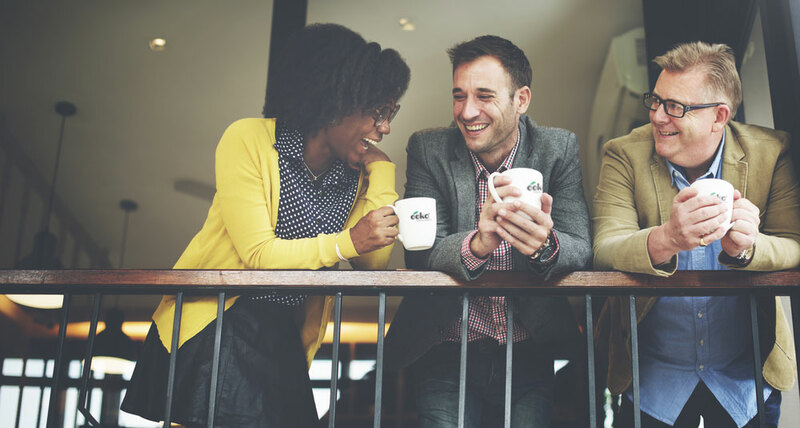 Mugs are an item that people continually use time and time again, and each day while they’re enjoying their morning cup of coffee, they’ll be reminded of your brand. With a variety of custom mugs to choose from, Pinnacle Promotions allows marketing professionals to design their selected mug style in countless ways. The Aztec Mug can be customized with your brand logo and features different outer/inner color combos to match your company’s color scheme. For an item that stands out a bit more, browse our unique mugs page with options including mugs with an attachable spoon, campfire-style mugs and even an iridescent ceramic mug. Whether your potential customers are coffee or tea lovers, everyone enjoys receiving a new, stylish mug, especially during the winter when the thought of a hot chocolate in the evening is lingering in the back of everyone’s mind. 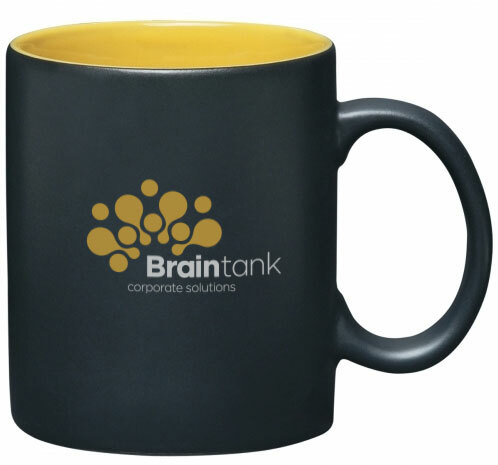 Custom coffee mugs are a great employee gift that they can keep in the office, while custom travel mugs make for an excellent corporate giveaway item. Travel mugs are not as fragile as coffee mugs, and can be easily distributed at any event. When ordering promotional products, the prices can add up quickly–particularly if you’re planning to attend a lot of events in the coming year. Selecting an item that is affordable but doesn’t appear cheap is important. Though custom mugs may look pricey, when purchased in bulk they’re actually quite inexpensive. As you determine your budget for the year, factor in promotional products and consider custom mugs or custom travel mugs as an option to cut costs while still providing people with an interesting and beneficial item to remember your brand. Select a gift you know people will love. With a nearly endless number of options, our company is happy to personalize your custom mugs to ensure that your brand captures people’s attention and makes you unique in your industry. Our customizable items allow you to add logos, text and even adjust colors to match your company’s color scheme. If you’re looking for more ideas on promotional items, you can browse our site by industry products and select items that people within your field would appreciate. If you have any additional questions, our experts are always happy to help. Contact us by phone at (877) 300-2007 or through our contact us form.